Borrower was 9 months behind, in foreclosure, payment was $2,654.03, 7.25% fixed fixed. Approved for thehome affordability program, three month payment plan of $1,697.56 fromJune through August and then loan will granted a permanent modification. Permanent modification with Stepping interest rate. Interest rate is 2.0% for 5 years with PITI payments of $1,237.85 - saving $1,416.85 per month from original payment, 3.0% for the 6th year, 4.0% for the 7th year and for the 8 year and life of the loan a fixed 4.75% interest rate. Borrower was 4 months behind, PITI payment was $2,128.00, 7.225% fixed interest rate. Property was in foreclosure. Approved for three month trial plan. Payment $960.69. Saving $1,167.31 a month. Previous payment $2488.41 with escrows, 9 months past due. Sale date scheduled for 6/15/2009. New monthlypayment $1044.32 for 3 month trial plan. Sale date postponed until9/1/2009 during which time agreement for New Housing Plan will be sentto borrower. Previous interest rate 6.875%. PITI payment was $3,114.66, borrower was 4 months behind. New payment for 3 month trial plan $2,430.96, saving $683.70 per month. After this trial plan, the loan modification will be finalized. New interest rate is 2.0% for 5 years with PITI payments of $2,358.28, saving $756.38 per month. For the 6th year, interest rate is 3.0%; 7th year 4.0%. In the 8th year and for the remaining life of the loan, interest rate becomes a fixed 4.75%. Borrower was 4 months past due, PITI payment was $2,110.41, 7.375% fixed rate. Approved for threemonth plan $1271.00 due on May 1, June 1, and July 1 saving of $849.00a month. After this period, permanent modification will take place. $1,935.18 P& I and insurance, 8.825% ARM. Borrower was two months behind. President’s HomeAffordability and Stability plan. Trial period for three months withpayment of $1,402.13. Saving $533.05 a month. No good faith depositrequired and the delinquent amount will be added to the principal. After plan is completed borrower will receive full modificationdocuments. Previous mortgage payment was $1,873.96, 6 months past due. Approved for 3month trial plan of $852.19/month, saving $1,021.77 per month. After 3month plan, the restructure will be finalized. 7.0% fixed interest rate, 5 months behind, $1,716.01 PITI payment. Three payments of$749.54 with a $350 contribution required by June 15, 2009. After thistime, payment will be reduced to $1,300-1,400 with a fixed interestrate of 5.0%. Fixed 6.25% interest rate, 3 payments behind. PITI payment was $2,570.18. Trial modificationwith forbearance plan. The payments of $2,165.04 due. When plan ispaid, permanent modification will be offered. Previous payment of $1,006.04, 10 months behind. 3 month trial, payments of $240.18. Rate of 7.875%payment of $1,814.41 (principal and interest). Morila was 6 monthsbehind and owed the bank $13,716.00 including late fees. First year rate of 4.875%, payment of $1,403.69 (principal and interest). Second year rate of 5.875%, payment of $1,556.71 (principal and interest). Third year rate of 6.875%, payment of $1,712.93 (principal and interest). Monthly payment was $3,437.43 principal, interest and taxes. With 11.625% ARM. Borrower pays insurance and association fees of $218.92. Payments are 8 months behind, owing $27,876.08. Making Home Affordable Trial Plan, 3 monthly payments of $1,265.17. Saving $2,391.18 per month. WOW! Past due 10 months owing $22,645.55, property in foreclosure. Original PITI payment $2,294.44. Three month trial Home Affordable plan with payments of $871.80, saving $1,422.65 per month. Past due 10 months, owing $6,369.00. Good faith deposit of $636.98 required and 3 trial payments of $318.40. Monthly savings of $318.40. Property in foreclosure, sale date 10/02/2009. Monthly PITI payment $1,500.33, 9 months past due. Sale date cancelled, property saved from foreclosure. Three month trial plan with payments of $995.62, monthly savings of $504.71. Borrower was 5 months past due and in active foreclosure owing $16,610.50. Monthly payments of $2,598.97. Foreclosure suspended during the course of 3 month trial plan. Monthly payments are $1,610.32 PITI, saving $988.65 per month. 7 months past due. Payments are $2,620.18 PITI with 5.75% fixed interest rate. Three month trial plan during modification process. Monthly payment is $2,237.96 for 3 months. Final modification will occur after third payment. Past due $5,372.09, monthly payments of $1,041.44. New payment under Making Home Affordable plan is $885.36 PITI. Previous interest rate 7.25%, PITI payments $2,496.63. Past due 4 months. Defer principal balance because the home value has dropped. New payment is $635.20 less a month than the trial plan and $1,560.27 savings a month from the origina payments. Borrower is ecstatic. Super! Borrower was 13 months behind owing $19,474.91. Monthly payments were $1,498.07, with 6.75% interest rate. Forbearance plan into modification saving $653.87 per month with monthly payments of $844.20. Previous monthly PITI payment $2,439.24 with 6.0% interest, borrower was 6 months past due. Trial plan beginning July 1, 2009 with 3 monthly payments of $1,468.73. Monthly savings of $970.51. Borrower successfully completed trial plan and was approved for final modification with first payment due February 1, 2010. Chase deferred $46,800.00 and borrower does not have to pay interest on this amount. New interest rate for years 1-5 is 2.0% with new PITI payment $,1232.41, monthly savings of $1,206.00 per month. In the 6th year the interest rate will be 3.0%, 7th year interest rate will be 4.0%, and in the 8th year and for the life of the loan the interest rate is fixed at 5.0%. Borrower is very happy with the modification. Borrower was past due over $10,000.00, monthly PITI payments of $1,445.50. Sale date was scheduled for January 6, 2010. Sale date is canceled and borrower is approved for a Non-Payment Forbearance until May 2010 while reviewed for a permanent solution. During this time, borrower makes no payments. Borrower was $6,210.06 past due with an 11% interest rate and a monthly PITI payment of $342.72. Borrower's monthly payment was reduced to $127.23, saving $215.49 per month. Borrower was 3 months past due and had a monthly payment of $905.10 (PITI) with an interest rate of 7.00%. Borrower's account was brought current and she received a monthly payment of $755.78 PITI ($149.32 savings per month) with an interest rate of 4.500%. Borrowers were 10 months past due, owing $18,612, and there was a foreclosure sale date scheduled for their property. The original monthly payment with taxes and insurance was $2,093.76 with a 6% fixed interest rate. Borrowers received a permanent loan modification with a new payment of $1,997.17. Totaling $96.59 monthly savings and a 5.00% fixed interest rate. The foreclosure sale date was cancelled. Borrowers owed $32,154.36 plus legal fees and made no mortgage payment for over two years. Their monthly mortgage payments were $2,244.00 with an increasing ARM interest rate of 5.58%. Approved for a three month Making Home Affordable trial plan with monthly mortgage payments of $1,170.30. After successfully completing the trial plan, the homeowners are approved for a permanent loan modification that puts their past due balance to the back of the loan. For the first 5 years, monthly payments will be $1,176.29 PITI with an interest rate of 2%, which will save them $1,067.71 per month. After the 7th year, payments will be $972.92 including escrows, with a fixed interest rate of 4.875% for the remainder of the 40 year loan. Borrowers were 14 months behind on their Chase mortgage, owing $33,213.18, not including fees. Their monthly mortgage payments were $2,372.37 and they had a fixed interest rate of 7%. Their permanent loan modification brought them current with new monthly mortgage payments of $2,107.78 PITI, monthly savings of $264.59. Their modified 30 year loan has a 5% fixed interest rate. Homeowners were past due $32,948.94 to Chase with monthly mortgage payments of $2,228 PITI and an interest rate of 5%. Approved for a trial plan under HAMP with anew monthly mortgage payment of $1,420.05 PITI, saving $807.95 per month. After successfully making trial payments the homeowners' modification was made permanent. Their permanent monthly mortgage payment is $1,420.05 PITI and they'll have a 2%interest rate for the first 5 years that will be fixed at 4.625% after the 7th year for the life of the loan. These homeowners were past due $22,220.59 with monthly mortgage payments of $2,184.40 PITI with a 6.25% interest rate. 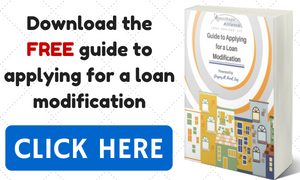 Approved for a loan modification trial plan that saves $585.95 per month with the new monthly mortgage payment of $1,598.45. The Chase loan modification is made permanent with monthly mortgage payments of $1,461.83 PITI, for a monthly savings of $722.57. Their interest rate will be 2% for 5 years and will increase every year after that until it resets at 4.625%, fixed for the life of the loan. This was a Chase mortgage that was 12 months behind, with monthly payments of $1,530.19 and in foreclosure. Chase granted a permanent loan modification to a fixed 4.00% interest rate and a new monthly payment of $1,456.89 and extended the life of the mortgage. Our client is able to keep their home and is current on the mortgage. They are no longer facing foreclosure and are happy to have peace of mind and no longer facing foreclosure. This Chase loan modification started with a monthly mortgage payment of $2,249.97 that was 2 years behind (26 months, $56,248.81) with a foreclosure sale date and 6.90% interest. The modified mortgage payment is now $1,539.36 with 2.775% fixed interest rate for 5 years, and then 4.00% fixed interest for the remaining life of the Chase mortgage. The homeowner can afford their mortgage payment now and is saving their home. This client came to us 3 ½ years behind on their Chase mortgage payments. The monthly payment was $1,811.75 with a 6.50% adjustable interest rate. The case was in active foreclosure and had previously been denied a modification after completed a trial plan. Client was approved for a Making Home Affordable Trial Loan Modification with payments of $1,187.54 for three months. The foreclosure case was put on hold and we spoke with Chase's attorneys to stop a scheduled foreclosure sale date. The new total mortgage payment, including principal, interest, taxes and insurance is $1,187.54, which saves the client $624.21 per month. The interest rate is 2.00% and will increase to 3.875% fixed after 7 years. Over three years, the principal will be forgiven for a total of $153,224.91 principal reduction. Each month for 5 years, the borrower will earn a benefit of $83.33 ($999.96 per year) which will be applied to the principal balance of the mortgage annually. Borrower was 7 months past due ($14,137.34).He had a 8.875% interest rate and a monthly payment of $2,035.65. Borrower received a 3 month traditional loan modification trial plan.He received a lower interest rate of 4.40% fixed with a monthly payment of $1,460.26 and a $96,205.96 principal reduction.This is a $575.38 monthly savings. In 2009, all Washington Mutual branches were rebranded as Chase Bank, and most WaMu loans were transferred to Chase Home Finance. Borrower 9 months past due, owing $19,703.02. 10.70% interest rate, monthly payment $2,773.71. Trial plan for 3 months. No good faith deposit required. New payment is $860.72. Borrower behind by $21,291.20. Interest rate 6.875%, P&I payment $1,607.59, taxes and insurance $195.83. Trial plan for 3 months. No good faith deposit required. New payment is $1,748.40 with taxes & insurance included. Previous payment of $2,741.53 PITI. Borrower was past due 6 months, owing $17,562.04. Property was in foreclosure. Special forbearance plan: New monthly payment $2,270.15 PITI for 3 months. No good faith deposit required. 12.15% adjustable interest rate, mortgage payment of $904.95 (principal and interest). Timothy was also 3 months behind on his mortgage, in foreclosure and owed the lender $6,695.61 in late charges and attorney fees. Monthly payments of $1,582.00. Borrower was 6 months past due. New payment is $1,197.18, 3 month trial plan during modification saves borrower $384.82 monthly.